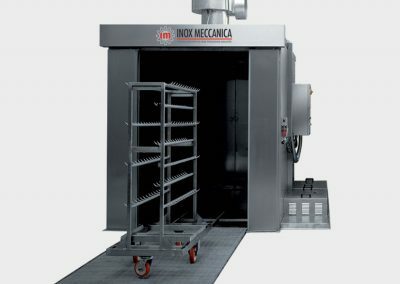 Thanks to a continuous technological development and with knowledge of food industry’s needs, Inox Meccanica designs and builds industrial washing machines with highest attention to energy and water saving without penalize washing and sanitization performances, with excellent results in every situation. 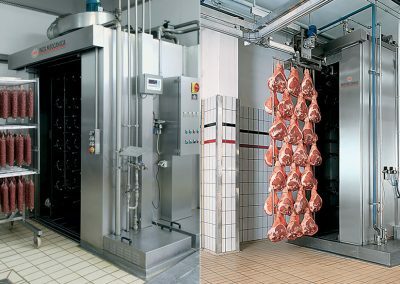 Washing systems (tunnel or cabinet) for equipment, i.e. : trolley, racks, frameworks, moulds, pallet and containers of different type and dimension. 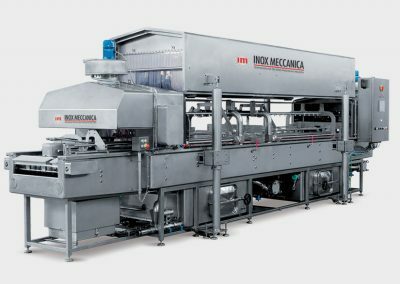 Inox Meccanica realizes both solutions with “recycling water” and “disposable water”. Washing machines (tunnel or cabinet) for food products. To sanitize products externally before the packing or before slicing / portioning. These machines work only with “disposable water” system to avoid any contamination. 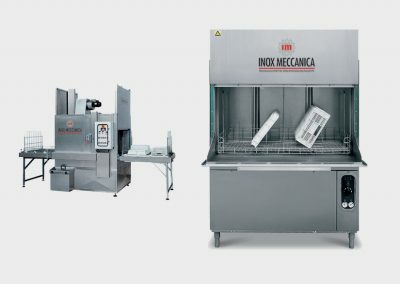 Inox Meccanica machines are made in SS AISI 304 and are design and realized specifically on client’s needs. 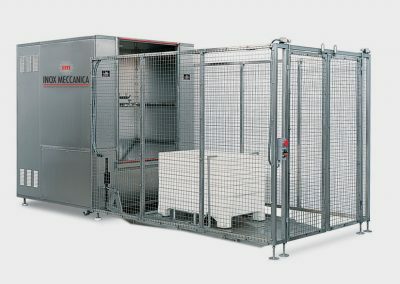 Inox Meccanica washing and cleaning systems are really flexible granting different washing configurations depending on type of product or accessories to be washed. The structure of machine has been designed to ease and accelerate all cleaning and washing operations after each cycle. A continuous research on components and materials assures the realization of efficient and effective solutions. A team devoted to implementing the guidelines required to innovate the food equipment cleaning processes. At Inox Meccanica we firmly believe that to improve the technologies and processes to washing machines and at the same time meet the needs and requirements of the food market, we need resources, technical capabilities, knowledge and, above all, the ability “to dive in others’ shoes” that is to view and feel our prospective customers’ problem as if they were our problems. So we have promoted the creation of a Team (Cleaning Solution Team) whose mission is constant and gradual improvement of solutions and cleaning processes in line with growing needs of equipment perfectly sanitized by reducing the resources (water, energy and chemicals) and safeguarding the environment but also safety of operators. This team includes engineers, chemists, hygienists as well as customers and suppliers who want to fulfil our mission with us. On the other hand washing is now a “multidisciplinary science” that requires multiple and different skills that we want to implement not only our company but also in the whole world. 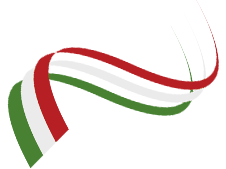 Our “Cleaning Solution Team“ logo represents the guarantee of our commitment to design and manufacture washing machines increasingly oriented to the needs of customers. A better understanding of our thought, was a brochure dedicated to the most salient issues in the field of industrial clearing, such as principals, applications and innovations that we provide to all business operator.